Cumbria Stone Walling is run by Paul Gingell and specializes in traditional building techniques, including dry stone walling, stonemasonry repairs and lime mortar pointing. Fundamental to all my work is the integrity of the construction process, combining sound technical knowledge with attentive craftsmanship. 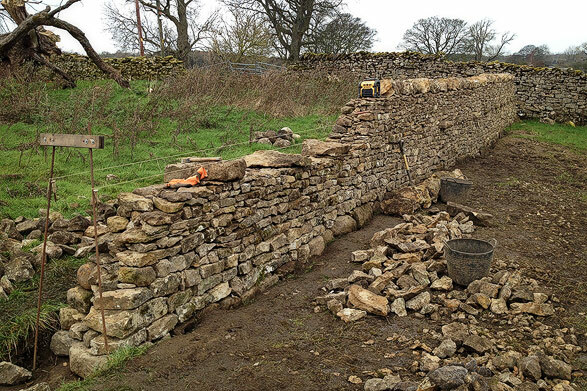 The business is based in the Eden Valley, near Appleby-in-Westmorland, and I undertake stonework and walling projects throughout Cumbria, Teesdale and the northern Yorkshire Dales. Dry Stone Walling may be something of an underdog in the world of heritage conservation, but its importance in the landscape is undeniable and is a skill which I champion. As one of humankind’s oldest building techniques, the principles of dry stone construction have informed much of our vast heritage of mortared, solid wall buildings and this knowledge continues to be relevant in the fields of restoration and conservation. In a region of such geological diversity, I work in a wide veriety of materials – including slate, limestone, sandstone and beckstones. My work ranges from field walls and garden features to more technical retaining walls and high wall projects. I routinely use a range of air limes and natural cements in free-standing and walling structures where safety, aesthetic or conservation requirements call for the use of mortars. Although not as hard as Portland cement, masons and builders since time immemorial have recognised the structural qualities of lime. 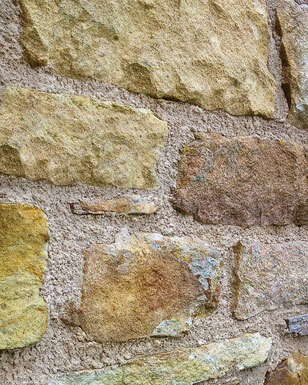 In common with dry stone techniques, solid masonry construction (as opposed to stone facing) should allow the stone itself to do most of the load bearing, with the mortar absorbing any movement and providing a supporting and weatherproofing role. Happily, a well selected lime/aggregate mix is also very attractive. 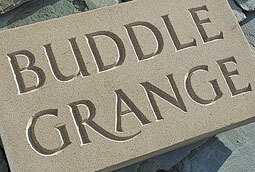 I also provide a range of traditional stonemasonry services, including replacing weathered or broken stone pieces, dressing new sawn stone to match existing stonework, and creating hand-carved house signs hand-carved house signs in local sandstone. For many vernacular buildings and structures the proportion of finely-worked masonry is often very limited but in prominent positions – typically sills, jambs, copings and arches. Consequently, hand dressed stonework can make a significant difference to the appearance of new build or restoration projects, for a relatively modest outlay. Please feel free to get in touch if you’d like further information, and thanks for visiting.